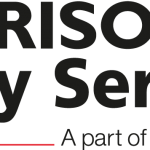 Morrison Utility Services are currently looking to recruit a Central Health and Safety Manager. You will be responsible for ensuring the delivery of the current SHEQ Strategy and objectives across your area of operations. The post holder must develop ownership and a proactive approach to Health and Safety. This role is to ensure that the compliance/Governance of the business is compliant at all times with all relevant Health and Safety legislation being implemented. It also provides a focus to the SHEQ Director for the provision and application of Health and Safety management across the contracts through maintenance of systems, support of project teams through leadership and co-ordination of activities.